You’re a mover, a shaker, and you own your own small business. Working for yourself has been an amazing endeavor and your company is really blowing up in popularity. But there is something amiss with your warehouse management and it is finally time for an overhaul. Controlling and managing a warehouse isn’t an impossible task. Don’t overwhelm yourself with the menial tasks, or get bogged down with the enormity of the challenge. We’ve put together a list of five tips to improve your warehouse control and management so you don’t have to sweat the small stuff! Clearly there is something not working right with your warehouse now. Familiarize yourself with the daily ins and outs of operations NOW before you make any changes. Look for any places where you can optimize efficiency, where you feel your current work flow is hindered/effective, and if there are any missing links in your work flow chain. Once you see if there is a step missing, or something going unnoticed, you can start from there. It’s a great idea to have a starting point where you can actually see what may be causing the underlying issues. You may have fallen out of love with your business, but this is the time to really get your head back in the game! Higher Priority. Do you have a product that ships more often than others? Is there more of a certain item than others? Make sure that the products, or goods, that are shipped most frequently are front and center! Space. There should be ample space for shipping and receiving items. 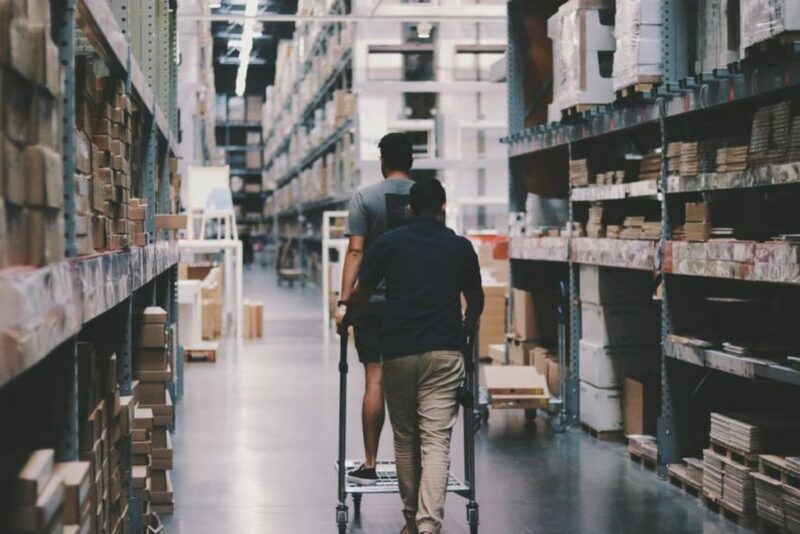 Whether you’re having a shipment delivered on large pallets, or you’re expecting to move a big order, there should be more than enough room in your warehouse to do BOTH. Labeling and Organization. Label your products and merchandise according to product velocity, or how long the items will stay in the warehouse before being sold. This will assure your shipping and receiving will run smoother than a normal categorical organizational system. Once the layout is helping everything move along, it’s time to get down to the orders. Your warehouse can NOT function without your loyal employees. Treat them well and train them even better. Safety is incredibly important, so make sure that each employee is VERY familiar with government standards, as well as your standards. Stay up to date on all the newest health and safety codes, as they change with new governments and new legislature. Avoiding unnecessary safety hazards by having well-trained and educated employees is a MUST! There should also be an aspect of quality control before each shipment goes out. Make sure that each order is filled, filled correctly, then have your employees check again. No need to have a line of unsatisfied customers at your door! You’ve taken the time to organize your layout, train your employees well, and create an accurate shipping and receiving routine. Now it’s time to make certain that all of these functions work flawlessly together. It’s time to upgrade your warehouse by upgrading your technology. You can purchase scanners for your clearly organized labeling system. You can upgrade computers and tablet devices, etc. Use this new technology to help reduce inventory, help QC orders, and make it easier to find products. Whatever you need to get your warehouse back to optimal productivity, you can take this time to do it by upgrading your tech! There are a lot of ways to control the movement within your warehouse. From training your employees, to the flow of the warehouse, to a new upgraded system, there are so many ways that you can maximize your productivity. However, that doesn’t mean you can leave it all at the door and hope it works out. Be an active part of your warehouse management and control. Stay positive, be a true leader, keep an eye on productivity, and be an active part of your company! Shahbaz Ahmed is a Content Writer. He has published many articles on different websites. He loves to share his knowledge with others.You can contact him at s0542599232@gmail.com. Will the United Kingdom’s CBD business boom in 2019?